CNC Machining is a manufacturing process. Through software programmed in computer to control CNC machine tools running. Lathes, Mills, Routers and Grinders etc wide range machinery can use this process. CNC Machining stands for Computer Numerical Control. With CNC machining, three-dimensional cutting tasks can be accomplished in a single set of prompts. The CNC process runs in contrast to — and thereby supersedes — the limitations of manual control, where live operators are needed to prompt and guide the commands of machining tools via levers, buttons and wheels. To the onlooker, a CNC system might resemble a regular set of computer components, but the software programs and consoles employed in CNC machining distinguish it from all other forms of computation. CNC Milling operations involve using multi-point rotary cutters to remove material from a work piece. CNC turning produces parts with cylindrical features by removing material from metal or plastic rods using cutters, center drills or live tooling. Plasma Cutters normally used to cut the thick steel sheet or blocks. In a plasma cutter, material is cut with a plasma torch. The process is foremost applied to metal materials but can also be employed on other surfaces. In order to produce the speed and heat necessary to cut metal, plasma is generated through a combination of compressed-air gas and electrical arcs. Widely used in all kinds of mold making process.Electric-discharge machining (EDM) — alternately referred to as die sinking and spark machining — is a process that molds work pieces into particular shapes with electrical sparks. With EDM, current discharges occur between two electrodes, and this removes sections of a given work piece. Wire EDM, whereby spark erosion is used to remove portions from an electronically conductive material. Sinker EDM, where an electrode and work piece are soaked in dielectric fluid for the purpose of piece formation. In a process known as flushing, debris from each finished work piece is carried away by a liquid dielectric, which appears once the current between the two electrodes has stopped and is meant to eliminate any further electric charges. Water jets are tools that cut hard materials, such as granite and metal, with high-pressure applications of water. With CNC, the shape of cut parts can be programmed firstly. In some cases, the water is mixed with sand or some other strong substance. Factory machine parts are often shaped through this process. What need to Learn about CNC Machining? Running a program to active the CNC system, the desired cuts are programmed into the software and dictated to corresponding tools and machinery.Moving like a robot, CNC machine carry out the dimensional tasks as specified. In CNC programming, the code generator within the numerical system will often assume mechanisms are flawless, despite the possibility of errors, which is greater whenever a CNC machine is directed to cut in more than one direction simultaneously. The placement of a tool in a numerical control system is outlined by a series of inputs known as the part program. With a numerical control machine, programs are inputted via punch cards. By contrast, the programs for CNC machines are fed to computers though small keyboards. CNC programming is retained in a computer’s memory. The code itself is written and edited by programmers. Therefore, CNC systems offer far more expansive computational capacity. Best of all, CNC systems are by no means static, since newer prompts can be added to pre-existing programs through revised code. CNC machines are operated via numerical control, software program is designated to control an object. 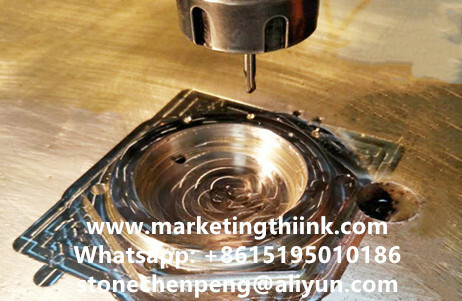 The language behind CNC machining is alternately referred to as G-code, and it’s written to control the various behaviors of a corresponding machine, such as the speed, feed rate and coordination. CNC machining makes it possible to pre-program the speed and position of machine tool functions and run them via software in repetitive, predictable cycles, all with little involvement from human operators. Due to these capabilities, the process has been adopted across all corners of the manufacturing sector and is especially vital in the areas of metal and plastic production. 2D or 3D CAD drawing is conceived, which is then translated to computer code for the CNC system to execute. After the program is inputted, the operator gives it a trial run to ensure no mistakes are present in the coding.